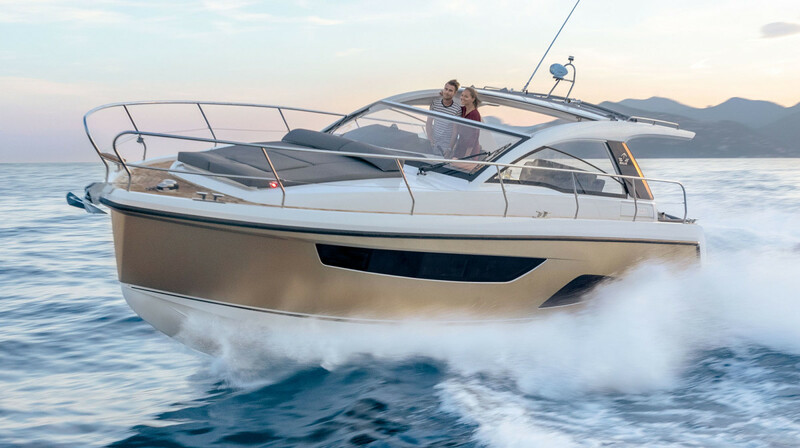 Drawn by English designer Bill Dixon and built in Greifswald, Germany, Sealine’s S330 marked the first collaboration by the British builder with parent company Hanse Yachts. 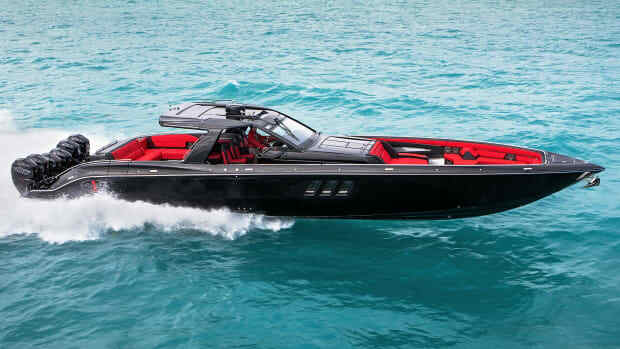 They look to continue the success of their Sport Series with the S330v, the company’s first outboard--powered express yacht. 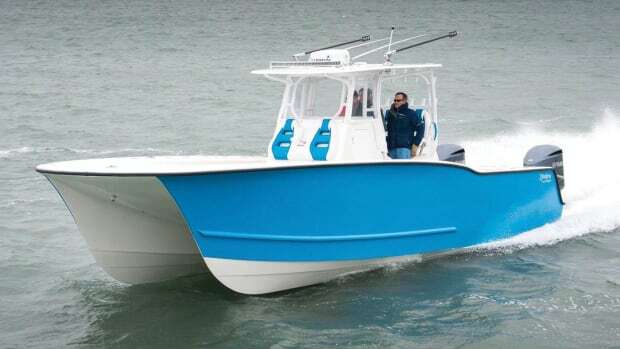 When she made her stateside debut at last year’s Ft. Lauderdale boat show, I liked her immediately for a number of reasons. 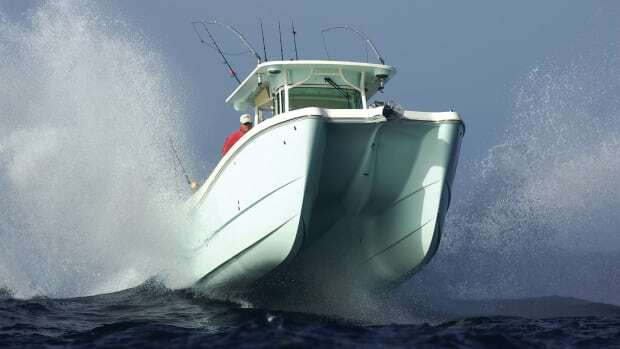 Straightaway, she was easy to board with the outboards (standard power is twin 300-hp Mercs) mounted on a transom bracket, keeping her sizable teak-decked swim platform intact. A boarding ladder connects on the platform’s starboard side for easy egress from the water and a gate separates the platform from the cockpit, where you can keep an extra eye on little mariners and pets. I also appreciated the large, fore and aft manually retractable sunshades. With one arm, I reached up and easily slid the cockpit’s bimini shade open and then walked forward and did the same with the giant sunroof over the helm, completely transforming both spaces. Drop the dining table, slide the aft end of the port-side, C-shaped cockpit seating and you have a sunpad for two that compliments the foredeck’s sunpad. A starboard galley with wet bar and BBQ continues the S330v’s alfresco leanings. Or, keep the sunshades and seating intact and six guests can sit comfortably, with two more at the double companion seat adjacent to the helm in full shade. 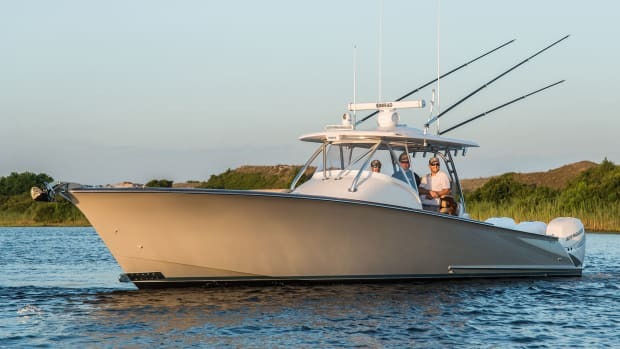 Moving to outboards gives the S330v several advantages over the diesel inboard-powered model: The boat will be quieter, more fuel-efficient and have a shallower draft. 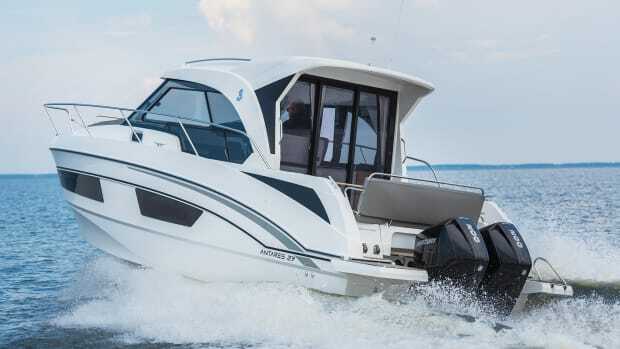 Having the power on the transom also frees up a truly massive storage space where those diesels would sit. 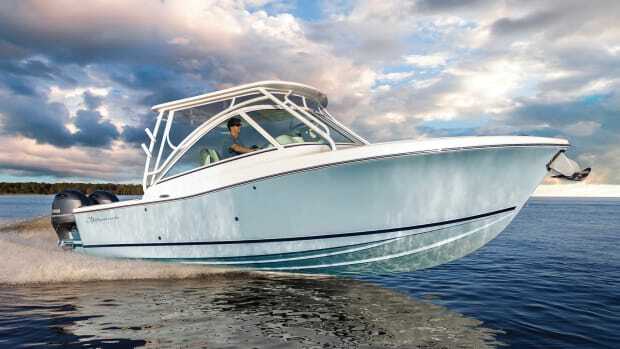 An electrically actuated ram opens the aft deck like a clamshell. One can stow fenders, dive gear and two full-size bicycles here if desired, without compromise. I’d add the optional ($16,671) Fisher-Panda 4-kW genset—it only slightly reduces the space and gives you more freedom. Belowdecks, there’s room for four guests split between two staterooms with a shared head and shower. Two more guests can bunk in the salon in a pinch, and there’s a full galley here as well. Two pairs of hullside windows and over 6 feet of headroom give the space an open, airy feel. 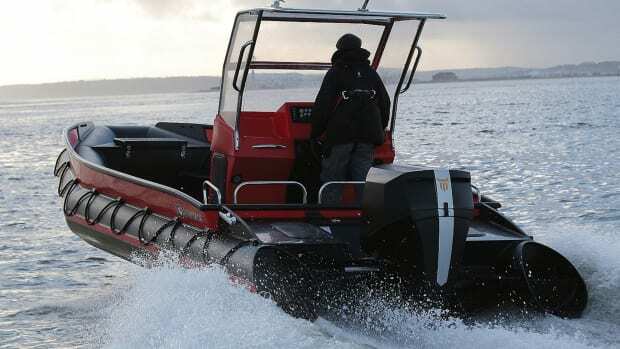 Her deep-V hull and plumb bow are a fine match for outboard power. 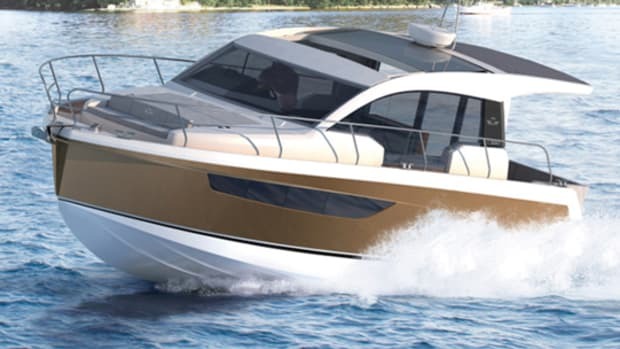 According to Sealine, the S330v will see just shy of 50 knots with optional 350-hp Mercury Verados and cruise at 34 knots. To complement the larger engines, Mercury’s Skyhook Digital Anchor with joystick ($25,717) will likely be a popular option. 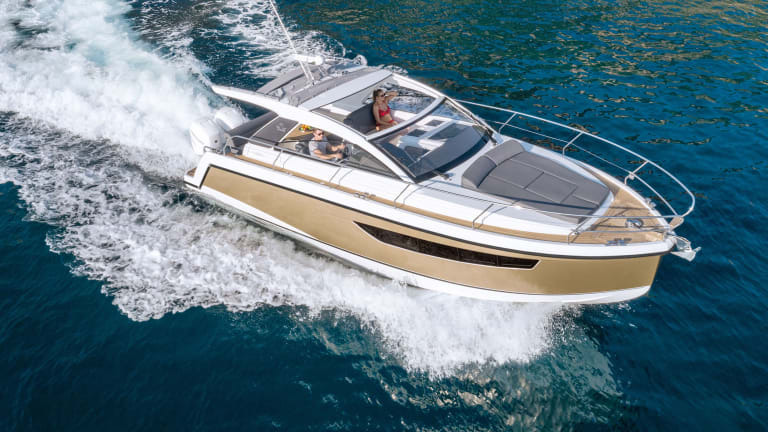 Sealine looks to offer versatility in the look of the boat, with several choices for upholstery schemes, exterior fabrics and interior wood finishes. A Quick gyrostabilizer will be an option in the near future. 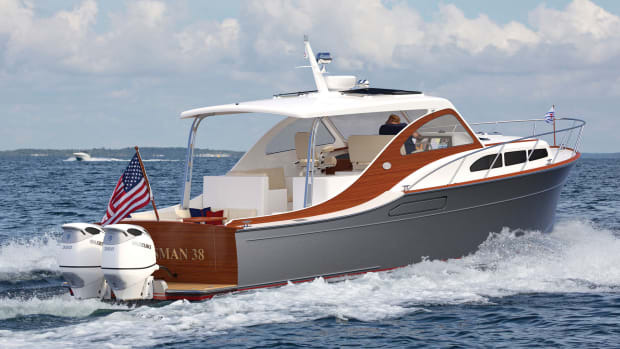 At $425,000 when fully optioned, the S330v looks to make a splash in the hot outboard market as a multifaceted express cruiser.